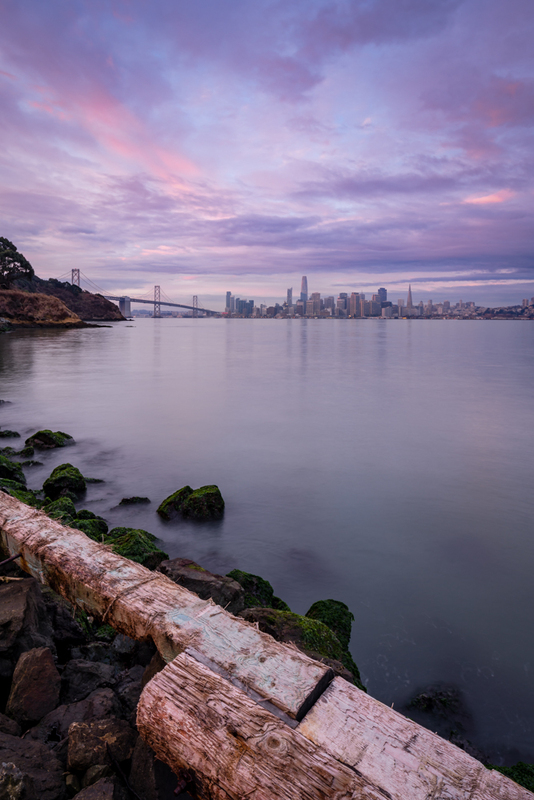 When you are forced to go to San Francisco early for work, it only makes sense to take a small detour to Treasure Island for sunrise. I had planned on checking out a small sea cave along the shore, but while climbing over the boulders to get there in the dark I saw 3 pairs of eyes staring right at me. I wasn’t sure if they were skunks, raccoons, cats or killer sea lions. I just knew they were much faster than me at climbing over the boulders and definitely weren’t intimated by me being there – which is why I have the photo below taken from the safety near the parking lot. Not the best sunrise as far as color goes (the sky was on fire behind me), but still makes the 3am alarm feel a little better.